Edited by Gloria Auma N.
Karen is one of the much sought after leafy suburbs of Nairobi, being rivaled only by areas like Muthaiga and Runda. The Nairobi residents of this upmarket area have enjoyed its quiet and serene environment for quite a long time. Taxis lined up waiting for customers at the Karen Shopping Center outside a makeshift extension to a building. The Karen suburb is located within the Northern Nairobi area and got its name from renown Baroness – Karen Christenze von Blixen –Finecke, a Danish author (17.04.1885 –07.09.1962) who lived in the area from 1914 to 1931. She is best known for her book ‘Out of Africa’, which is an account of her life while in Kenya. The book was adopted into an Academy Award winning film. She also established the Karen Coffee Company. Karen is a low-density, single-dimensional development area, characterised by large residential subdivisions, very good amenities and lower crime rates. Over the years it has been home to both wealthy and prominent people in Kenyan society. In the recent past, however, it has attracted many a good number of people seeking to settle within its bounds. This has led to a high demand for, and establishment of shopping malls around the area. This pits the benefits to individuals against broader social and environmental concerns. Karen Shopping Center is located at a-round-about serving both Ngong Road and d and Langata Road. In many situations, strip or ribbon development takes place when extensive commercial development occurs in a linear pattern along both sides of major arterial roadways. Like other aspects of urban sprawl, it is viewed as ugly and as a cause of traffic congestion caused by old matatus parked on both sides of the road, mushrooming roadside kiosks, people trading second hand cloths, stagnant water in non functional drainage systems as well as a constant barrage of disorderly foot traffic from shoppers and workers entering and exiting the street. “This aspect of urban sprawl has led to the insecurity of the area.” Said Ronald Musengi, a Commissioner at the National Police Service Commission and a long time resident of Karen. The 2014 Revision of World Urbanization Prospects UN report says rapid urbanisation brings opportunities for governments to improve access to important services. “Providing public transportation, as well as housing, electricity, water and sanitation for a densely settled population is typically cheaper and less environmentally damaging than providing a similar level of services to a predominantly rural household,” it says. Mushrooming commercial establishments have increased the foot traffic along the Karen roads. The residents of Karen acknowledge that growth is inevitable but are asking the Nairobi City County government to intervene. The residents would like the government to address the situation by expansion of available facilities to cater to the new populations and have Karen reclaim its former glory. Would Nairobi City County take up the request and embrace this evident opportunity to improve access to the important services – public transportation, water and sanitation for the shopping center? Each day we walk, drive and board buses in silent fear. Who knows where the next siren will sound and lives lost. It is a scare that is killing our economy. Our breath is held by terror clip. I am left wondering who is a terrorist or why clear lives of innocent blood! It is hard for families that have lost loved ones through this difficult cloud of terror. The world is full of things, good and bad. But my heart is not weary of the worst. For there is always an equal measure of goodness about to happen. Kenyans have built their economy with minimum natural resources. The dawn of oil in Turkana will not mean reversed era. We will not stop to hold up our national responsibility because of peace of our sisters and brothers in Somali. The WestgatE terror incident united us – WeAreOne. Subsequent terrors at Thika road, Gikomba market, Likoni Church and many more places will leave us standing strong. Unfortunately, some of us have opted war than peace to reign for Africa’s emerging economy. Where is this driving us to? An article by CityLab recently found that insecurity on streets of Cairo contributed to more traffic congestion. Nairobi and other cities will they be forced to adopt home workers or cycling to work – at least safer. Exactly a month ago and we woke up to new matatu rules that will revolutionise this private held sector. Kenya similar to any african government we struggle with lasting implementation. Kudos to new regime with new rules but how far will we burn our oil. 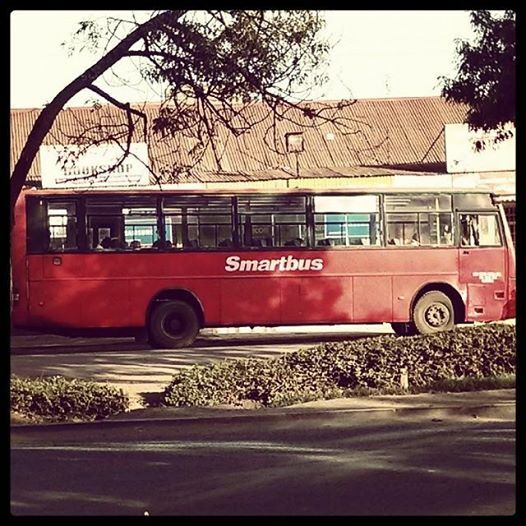 Forget the new matatu rules, the smart bus idea is brilliant of all! 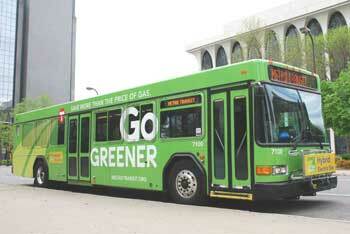 Maybe we should call them green buses. We all know about smart bus but nothing about its retirement. Our guess o its missing on our roads would lean towards unsuccessful execution. With Nairobi county government showing political divide into this noble idea. A bus that will see most commuters pay only Kshs 35 to and fro their estates. It will bring dream reality sanity in this man-eat-man society. It is not only affordable bus that we campaign for. The use of paperless travel idea; the smart cards and swipe on the go. Its sustainability will not be doomed so long as the management sets a is proper operations framework at an early stage. An in depth study on similar ideas in developing cities such as Curitiba in Brazil, Delhi in India, Manila in Philippines and not to mention Lagos in Nigeria, reveals how these cities have robust infrastructure to fully sustain this idea. Commonly known as Bus Rapid Transit is what is missing here in Nairobi as illustrated below. 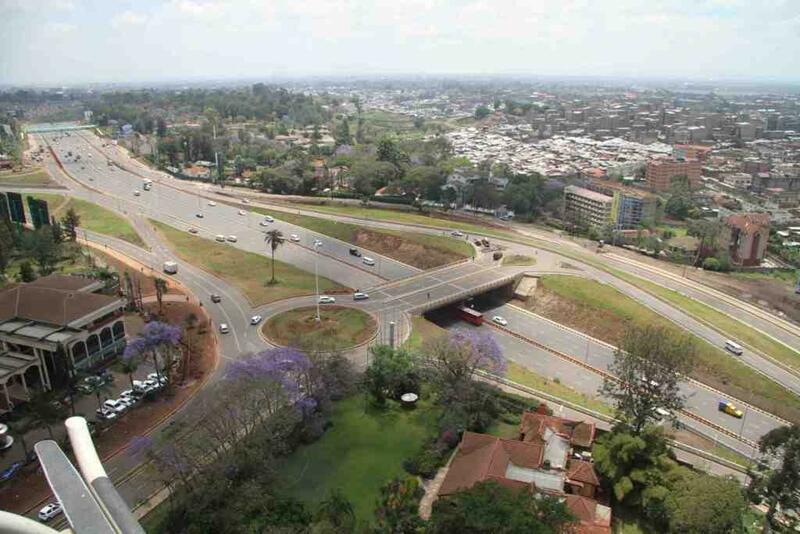 You may argue of Thika Super highway but do we have bus right-of-way roads to reduce delays. This is a key factor to encourage most middle income earners onto the bus and leave their cars at home. Imagine, if 200 buses of sixty-seater capacity that could be nearly 4,000 private cars off Nairobi’s congested roads. Transport related pollution is concern too as heads of state deliberated on Climate Action in Abu Dhabi. This will contribute to a green city under the sun. Our carbon emissions from transport sector will be capped at 2.8tons or below by 2025. Congestion, traffic delays that cost our economy and reduce human capital productivity hours at work will be history. 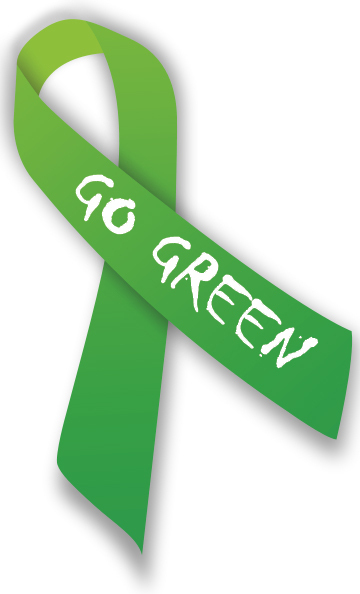 We need to board the green bus and enjoy green economy of East Africa’s largest city.